It's been quite a week for Kanye West. After totally stealing the spotlight from everyone else at the Grammys last Sunday, he released his highly anticipated ADIDAS Sneakers, debuted his new fashion line at New York Fashion Week, and decided to cap it all off with an unforgettable performance. At SNL 40 , Kanye West performed "Wolves," his new song with Sia and Vic Mensa, but that's not all. West also sang his classic "Jesus Walks," as well as the recently released "Only One," all during a minimalist performance that called to mind his first 2015 Grammys performance (yes, there were two). When he first appeared on stage, Kanye was laying down, with the camera positioned above his head at a very strange angle, zoomed in so his face filled the screen. It definitely captured my attention, especially once I realized he was performing "Jesus Walks," one of the 2004 singles that launched him into superstardom. After an excellent rendition of a song that should be brought back much more often (at least if you ask me), Kanye stood up, revealing his set to be two simple, brightly lit white screens, behind and above him. He then began to perform "Only One," one of his most recent releases, and one of his most emotional songs to date. However, this performance wasn't at the same level as "Jesus Walks," with Kanye's voice seeming to crack every so often. 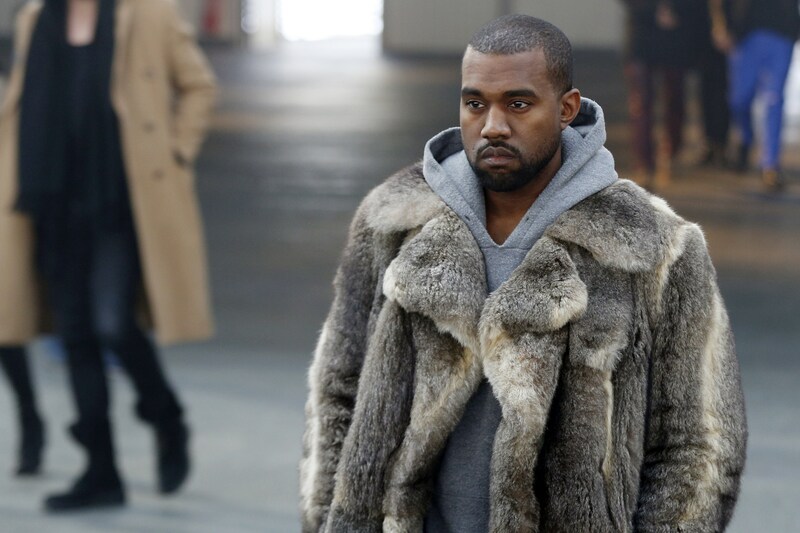 But then things picked back up when Kanye transitioned into "Wolves," which has yet to be released or performed — aside from during Kanye's NYFW show. Sia and Vic Mensa, who are both featured on the song, joined him, finishing the performance on an extremely high note. Watch the performance below. It may not have been flawless, but Kanye's performance proved why he was one of the few artists chosen to perform at SNL 40. It was mesmerizing from beginning to end, and proved that this won't be the last week during which Kanye dominates the pop culture conversation.